Acting Venezuelan President Nicolas Maduro believes there is a US plot to assassinate him during his election campaign. He called on his followers to be “vigilant” and warned conspirators want to prevent his victory in next week’s election. Presidential candidate Maduro pointed the finger at the former US Ambassador to Venezuela Otto Reich and the ex-ambassador to the Organization of American States, Roger Noriega, outing them as the driving force behind the conspiracy. 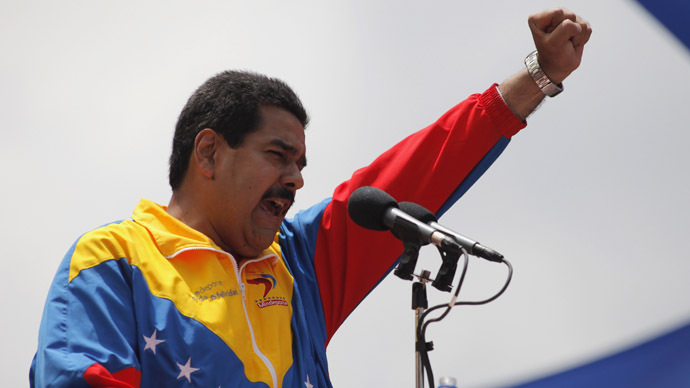 “Their goal is to kill me,” said Maduro on Saturday during an electoral campaign speech in the northern state of Bolivar. He called on his supporters to be on maximum alert, warning that the object of the plot was to increase the homicide rate in cities across Venezuela and cause a blackout ahead of the elections. 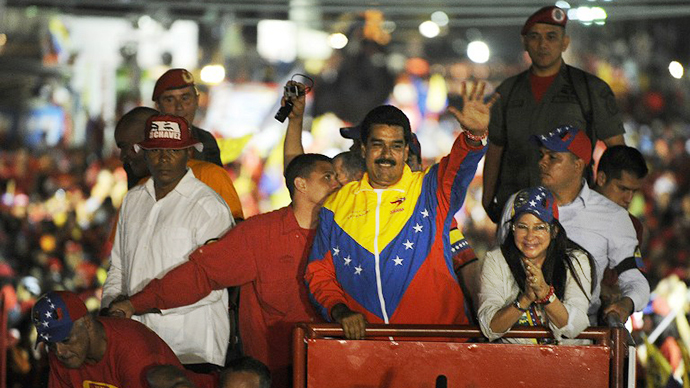 Addressing a throng of followers at his campaign speech, Maduro also gave a warning that an ancient curse would fall on those who do not vote for him in next week’s elections. 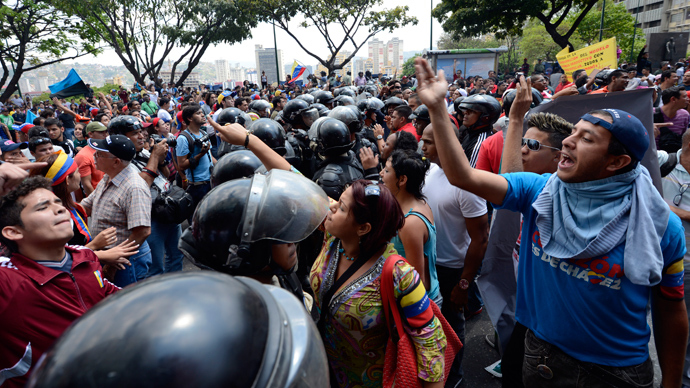 Maduro explained that in the battle 300 Spanish soldiers ordered 18,000 Indians to fight against their own people. In this way, he likened his rival candidate Henrique Capriles to a Spanish conqueror and decried voting for him as a vote against Venezuela. "If the bourgeoisie win, they are going to privatize health and education, they are going to take land from the Indians, the curse of Maracapana would come on you," the candidate continued. For his part, Capriles dismissed his rival’s words as hot-headed rhetoric and stated that any candidate who threatens the people has no right to govern the country. 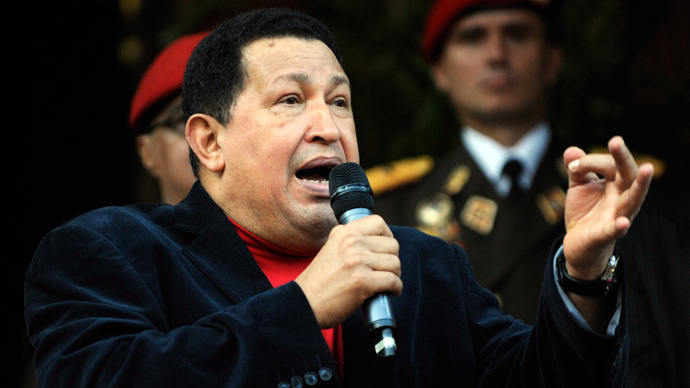 "Anyone who threatens the people, who tells the people a curse can fall on them, has no right to govern this country," he said at a rally in the western state of Tachira, adding that that the “real curse” was Maduro and his followers. 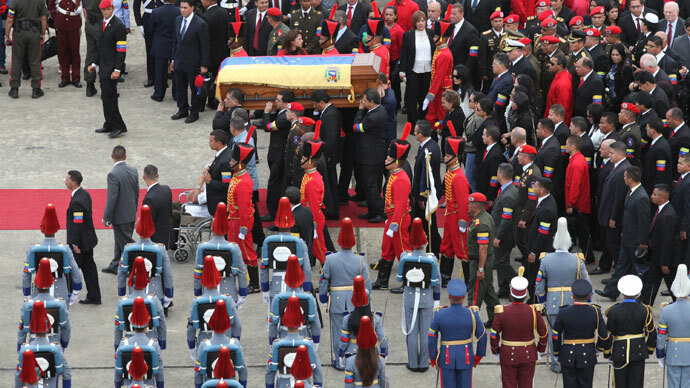 Maduro has been acting president since President Hugo Chavez’s death on March 5, but will face elections next week. According to polls Maduro is currently 10 points ahead of Capriles. Capriles is widely considered to be the pro-American candidate in the elections, while Maduro is seen as Hugo Chavez’s successor.